Here goes a new collaboration from Fredo Santana x Childish Gambino, with Young Chop on the beat. Last week Fredo Santana came through with Lil Durk for "All I Ever Wanted", and today he returns with his full Walking Legend mixtape and another strong feature on this joint, "Riot." Childish Gambino was tapped by Fredo to appear on the Young Chop-produced record which unfortunately encourages violence as Fredo says "I'ma start a riot / all my niggas violent." Nonetheless Gambino comes through with a strong verse to close things out. He actually makes reference to the recent freestyle he spit where he proclaimed he deserved a spot in everyone's Top 5. "Sliding in your Top 5," he raps on this, "Let 'em hate on that line." 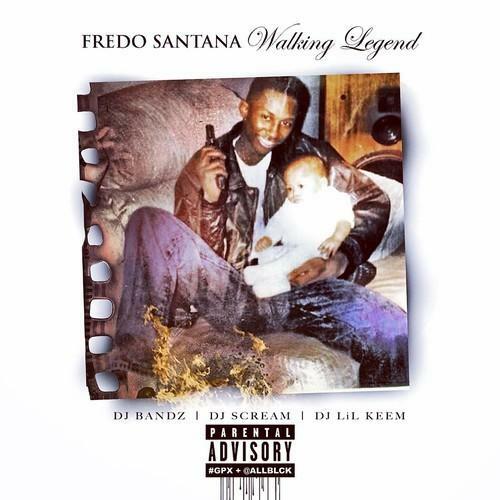 The 300-affiliated rapper's new mixtape Walking Legend is out now.